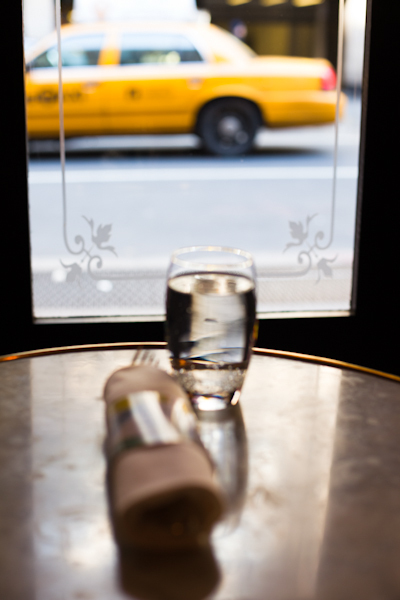 Alain Ducasse bought my father-in-law’s restaurant La Côte Basque and turned it into Benoit, a Parisienne bistro in mid-town Manhattan. This is where I married my husband over thirteen years ago, this is where we announced to our close friends that we were moving to Los Angeles and this is where we celebrated many birthdays. One of the many perks of writing this book is meeting fabulous chefs, seeing behind the scenes in restaurant kitchens, chatting with the faithful teams of people who keep everything moving (usually a trusted assistant or PR executive) and photographing as I go. Perhaps the best perk is the eating of the food once I have got the shot. 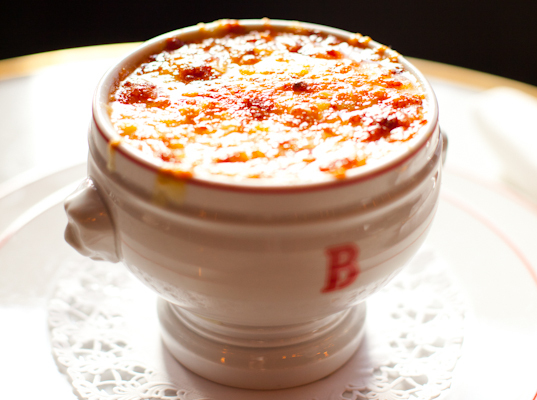 I have fond memories of the delicious soup at Benoit – not just for it’s depth of flavor but also for the perfect balance of cheese, bread and onion soup. I ate up every last drop and would have licked the bowl clean had I not been sitting in the middle of a restaurant winding down from lunch. 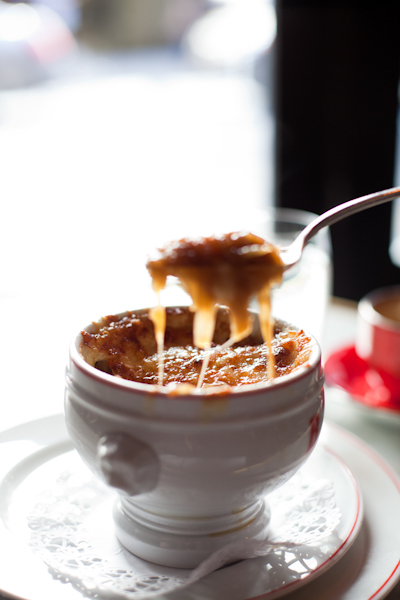 French Onion Soup recipes have been around for hundreds of years. Escoffier’s Guide Culinaire (1903), the ultimate book of French cuisine, has no listing for onion soup, probably because it wasn’t considered haute cuisine—this was a dish of the middle-classes and Escoffier was writing for high-end restaurants and hotels. An early American recipe from The Frugal Housewife:Or, Complete Woman Cook has an onion soup recipe that tops the soup with slices of toasted French roll and poached eggs—no grainéed cheese. A little book published in 1893 La Cuisine Française. French Cooking for Every Home. Adapted to American Requirements by Francois Tanty is an interesting example particularly because, unlike Escoffier’s Guide Culinaire, it is aimed at the American home cook, with the cooking being “a little less refined [than traditional French cooking], but quite as palatable”. Tanty, who trained under the famous nineteenth century French chef Marie-Antoine Carême, came to America for the World’s Columbian Exposition in 1893 and stayed. When I watched Julie and Julia I came out of the movie craving a real French onion soup topped with gratinée cheese that makes strings as you lift your spoon to your mouth. That place for authentic soup this side of the Atlantic is Benoit. 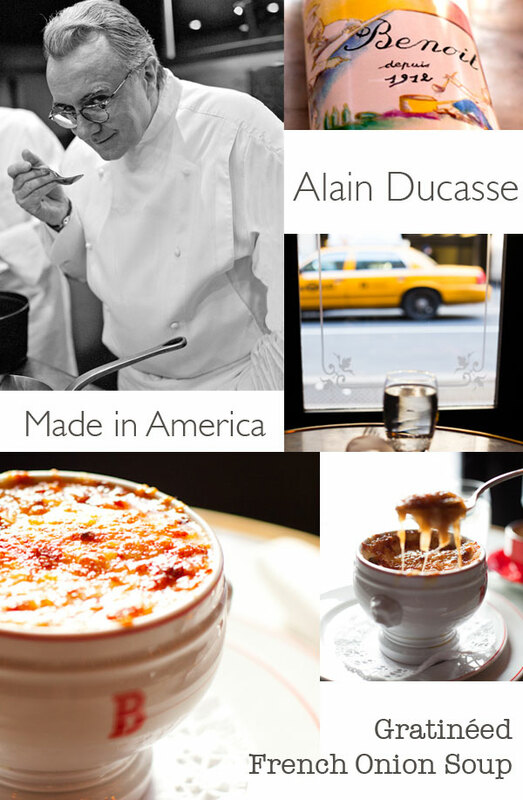 For those who would like to savor Alain Ducasse and Chef Philippe Bertineau’s onion soup gratinée in the heart of Manhattan head on over to the bistro at 60 West 55 Street, between 5 and 6 Avenue.